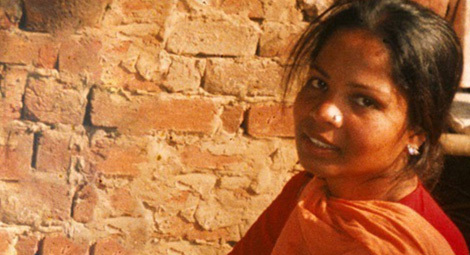 CSW welcomes the Pakistan Supreme Court’s decision today to dismiss the review petition filed against the acquittal of Asia Bibi on blasphemy charges. During the review, the three-judge panel led by Chief Justice Asif Saeed Khosa stated that the verdict was given on merit of the evidence produced and noted inconsistencies with the witness statements. Pakistan’s government permitted the review petition to be filed by those dissatisfied with the Supreme Court’s acquittal of Asia Bibi’s conviction for blasphemy on 31 October 2018. Asia Noreen, also known as Asia Bibi, is a Christian woman who was falsely accused of blasphemy in 2009 and sentenced to deathunder Section 295-C of the Pakistan Penal Code (PPC), on 8 November 2010. Her appeal against the death sentence was dismissed by Pakistan’s High Court on 16 October 2014 before the Supreme Court quashed her conviction in 2018. Following her acquittal, cleric Khadim Hussain Rizvi, leader of the religio-political party, Tehreek-e-Labbaik Pakistan (TLP) instigated his supporters to stage protests across major cities throughout Pakistan which brought the country to a complete standstill. After three days of unrest, the government conceded to an agreement with the TLP to allow a review petition of the Supreme Court judgement in Asia Bibi’s case and to place her on the Exit Control List (ECL) to prevent her from leaving the country. In November 2018, the government launched a huge crackdown against the TLP and other Islamist groups, like the Tehreek-i-Labbaik Ya Rasool Allah (TLYR). Dozens of their leaders and activists including Khadim Hussain Rizvi have been arrested and booked under charges of sedition and terrorism. Blasphemy in Pakistan continues to be a highly sensitive issue with the laws being widely misused to settle personal scores or disputes related to money, property or business rivalry. Although the highest number of accusations are filed against Muslims a disproportionate number of false accusations are lodged against religious minorities. Victims, especially religious minorities who are falsely accused of blasphemy as well as those who speak out against blasphemy can face severe threats and intimidation including mob violence. Shahbaz Bhatti, Pakistan’s first Minister for Minorities Affairs and Salmaan Taseer, the former governor of Punjab province, were both assassinated in 2011, after speaking out on Asia Bibi’s case.